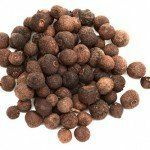 Research has shown many benefits to taking allspice. It has been found that allspice has anesthetic effects due to the tannin compounds found in allspice. Tannins are responsible for a warming effect that provides mild relief from pain (Encyclopedia of spices). The tannins found in allspice also help to reduce inflammation which helps to decrease pain as well (Kahami). Like most fruits and vegetables, allspice contains antioxidants that help to eliminate the effects of free radicals. Eliminating the effect due to free radicals from oxidation reactions can help top eliminate aliments such as inflammation, high cholesterol and cancer. Like many other herbs, allspice acts as a carminative and stimulant. Taking allspice helps to increase bile flow which improves the digestion of fats. This property of allspice helps to decrease bloating a gas pressure (Sinadino). Another medicinal feature of allspice is its rubefacient. As rubefacient, allspice irritates the skin which causes the blood vessels to expanding. As the blood vessels expand, there is an increased blood flow to the skin which makes the skin feel warmer. As blood flow increases muscle and joint pain subsides (Health Benefits and medicinal uses of Allspice). In a study conducted by the Journal of Nematology it was found that allspice was the least toxic remedy which effectively eliminated the effects of nematodes and ticks. (Park, Kim, and Shin 275-279). This property of all spice helped to reduce infections. Allspice can cause irritations in the mucous membranes if used in high concentrations or in higher doses, especially on the skin. Patients who are taking CYP450-metabolizing agents should take allspice in caution as it may interfere with the way that they body processes certain drugs using the liver’s cytochrome p450 enzyme system (Allspice). Additionally, patients who are taking blood pressure lowering, blood sugar lowering or central nervous system lowering-activity should use allspice cautiously due to additive effects. Women who are pregnant or breastfeeding should not take allspice due to limited research and scientific evidence. Allspice (pimenta diocia). Stacy Goldburg’s what’s in your cart, 2011. Web. 18 Jun 2012. “Encylopedia of spices.” Allspice. Epicenter, 2003. Web. 21 Jun 2012. Health Benefits of Allspice essential Oil. Organic Facts, 2012. Web. 18 Jun 2012. “Health Benefits and medicinal uses of Allspice.” . Value Food, 2011. Web. 21 Jun 2012. Kahami, Ellen. All-Healing Power of Allspice. Nature’s Center, 2010. Web. 21 Jun 2012.